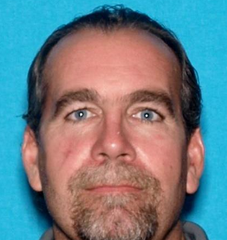 On October 29, 2016, officers from the Menifee Police Department received a report of an at risk missing adult, Paul Christian Snyder. Upon arrival, officers learned Snyder has not been seen or heard from for several days. A search of the area was conducted, and Snyder was not located. Snyder suffers from several medical conditions including congestive heart failure, anxiety and is manic depressive. Snyder is currently without medication. Snyder is believed to be on foot. Snyder is described as a Caucasian male, 46 years old, 5’10” and 175 pounds. He has brown hair and blue eyes. If seen please contact the Riverside County Sheriff’s Department at 951-776-1099. If seen please contact the Riverside County Sheriff’s Department at 951-776-1099.